UC Berkeley Events Calendar: Ask a Diplomat! The U.S. Department of State is dedicated to protecting and strengthening Americas interests abroad and right here at home. So whether advocating for womens rights throughout the world, explaining American foreign policy to citizens of other countries, or protecting U.S. embassies from security threats, you can make a difference with the U.S. Department of State. Please attend our information session where you will have the opportunity to meet Diplomat in Residence for the Northwest Region, Dorothy Ngutter, and explore internship, fellowship, and career opportunities with the U.S. Department of State. Dorothy Ngutter is a career diplomat, and currently serves as the Diplomat in Residence for the Northwest Region (Alaska, northern California, Oregon, Washington). One of 16 Diplomats in Residence across the country, Dorothy provides guidance and advice on careers, internships, and fellowships with the State Department to students and professionals throughout the northwest region. With fourteen years of international and domestic experience in the U.S. Diplomatic Service, Dorothy most recently represented the U.S. Department of State as a National Security Affairs Fellow at the Hoover Institution, Stanford University. Prior to the fellowship, Dorothy was the Deputy Political Counselor at the U.S. Embassy in Ankara, Turkey (2012-2015), where she worked on a range of foreign policy issues. Before heading to Turkey, she served as a special assistant to Amb. William J. Burns in the Office of the Under Secretary for Political Affairs, covering Africa and global issues (2010-2011). 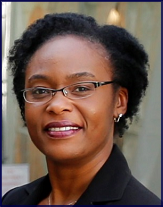 Dorothys overseas assignments include working as a Public Diplomacy Officer at the U.S. Mission to NATO in Brussels, Belgium and a Consular and Political Officer at the U.S. Embassy in Bamako, Mali. In Washington, she also served as the Peru Desk Officer in the Bureau of Western Hemisphere Affairs, and as a Watch Officer in the State Departments 24/7 crisis management center. Dorothy earned a dual Bachelor of Arts degree in Political Science and Communication Studies from Northeastern University in Boston, and holds a Master of Art in Law & Diplomacy (MALD) from The Fletcher School at Tufts University. She joined the Foreign Service, after completing the Thomas R. Pickering Graduate Foreign Affairs Fellowship.